For more on what’s coming in Legion, have a look at our dedicated guide. 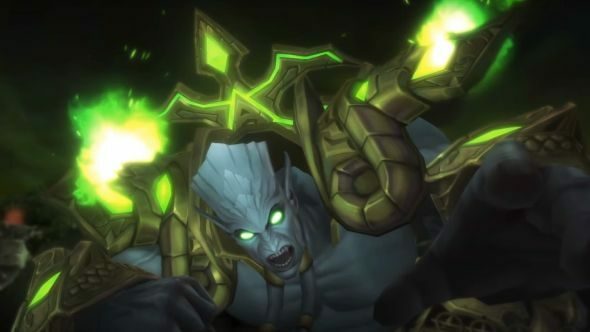 The issue has come to a head in recent months due to the final boss of Warlords of Draenor’s final raid, Archimonde, having particularly exploitable mechanics. One, Wrought Chaos, created beams of energy between players, countered by a fairly simple radar and arrow system that turned what would be a complex group challenge into stand where you’re told. It’s hardly the only example, and Blizzard want to stop it. In a follow-up Q&A stream, Hazzikostas clarified that while the complexity of mechanics had risen in accordance with addon power, all fights are still completed by internal testing teams with pretty close to the default UI. While they wouldn’t be changing design paradigms, it’s possible that tuning could be adjusted in the future – smaller mistakes being less punished as far as damage and death is concerned. These changes will go live with patch 7.1, slated for a little after Legion’s release, with more details on the patch as a whole to follow in the next couple of weeks.